Why fly with Hong Kong Airlines? Meet Hong Kong Airlines, your new guardian angel in the skies. The airline flies to over 40 destinations in the Asia Pacific region, with Los Angeles as their first continental US destination. San Francisco routes have recently started and New York routes will be launching later in 2018. Established in 2006, Hong Kong Airlines has one of the youngest passenger fleets in the sky. At an average age of five years old, their 33 passenger aircraft are perfect for your journey. In their fleet you will only find Airbus aircraft – talk about modern! Your Happy Angel helps your children settle in their seats, gives guardians a traveling guide, and provides priority meals. Kids (3-11 years) receive a Travel Journal with pencils to entertain them during the flight. Families have their own special check-in zone for a comfortable check-in experience. Priority seats close to the gate are available for families, pregnant women, and also the elderly and passengers with reduced mobility. Celebrate your birthday like never before! Hong Kong Airlines really wants you to enjoy your birthday. As part of their Sweeten You Up program, which aims to help you celebrate birthdays, anniversaries, and even surprise wedding proposals. Passengers flying out of Hong Kong or Vancouver on their birthday receive a special birthday-themed boarding pass, a birthday pin and birthday chocolates at check-in. Birthday boys and girls are also invited to a VIP lounge and can bring up to two friends. Upon boarding the airplane you will be greeted with Happy Birthday! and during the flight, you will receive a Birthday card. Cake & champagne can also be pre-ordered at an additional cost, and is not only for birthdays! So why not celebrate in the clouds next time? Flying with HKA is your perfect opportunity to enjoy some local Hong Kong cuisine. Hong Kong cuisine is a blend of Cantonese, British and Chinese flavors, plus many more. Although HKA has come a long way from a regional airline to a global airline they will never forget their roots. 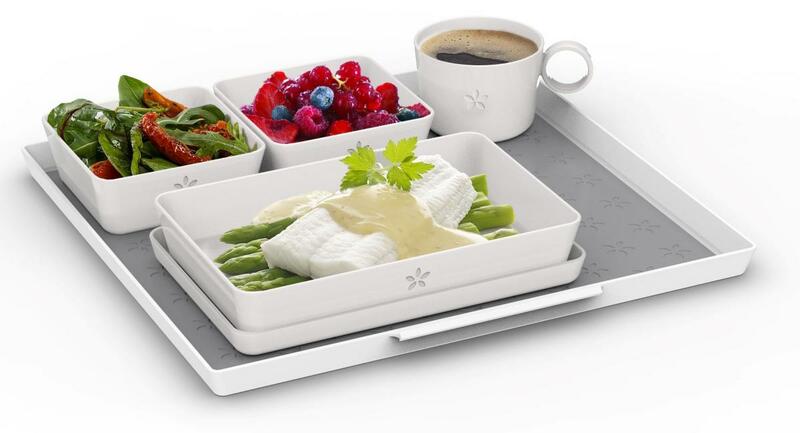 The in-flight meals reflect true Hong Kong spirit and culture. Chefs lovingly prepare the meals with fresh and local seasonal ingredients. You can pre-order a special meal for medical, dietary or religious reasons, such as Kosher, Vegetarian, Low Fat, etc. PLUS special kids’ meals and baby meals. HKA’s Business Class Lounge at Hong Kong International Airport is brand new. Literally. Club Autus opened in September 2017 is HKA’s second lounge at HKIA. Autus means growth in Latin, and so represents the airline’s recent growth. The design highlights Hong Kong culture combined with nature’s beauty. Hong Kong Airlines’ motto Because We Care! really says it all. HKA wants to welcome every passenger with the spirit, style, and excitement of Hong Kong. From their new fleet to their family services, HKA strives to deliver the best service and value. 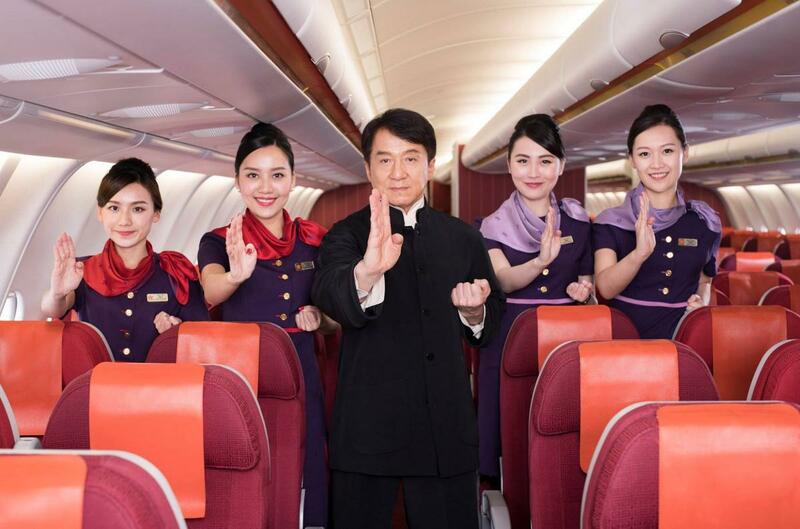 Plus, this is the only airline recommended by Jackie Chan himself. Hong Kong Airlines has announced it will begin daily flights between Hong Kong and Manila from June 1, 2018. The flights will be serviced with an Airbus A320 offering 174 seats in economy class. 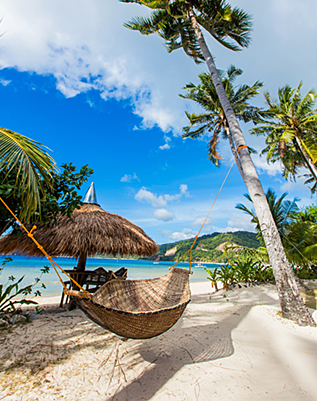 Find out more about how to book flights to Manila. Hong Kong Airlines flies to many top destinations in Asia so check out some of the latest Hong Kong Airlines deals for your next trip! Please send me more information if I using HKA to Hochiminh city in Vietnam. We need to know where you will be departing from, please call us at (+1) 844-300-7983 or use the form on the right-hand side of this page. Thanks Satya, I have forwarded your request to the travel agents! Leaving from Spokane International Airport to Kula Lumpur [KLIA] last week of August to 1st week of September 2018. Thanks for your request Larry! An agent will be in touch shortly.